Global Tech Women launched our Book Club with an important topic: Quiet: The Power of Introverts in a World That Can't Stop Talking by Susan Cain. This extraordinary book has the power to permanently change how we see introverts and, equally important, how introverts see themselves. As we found out, understanding where you thrive best is as important as understanding gender dynamics. Are you an introvert or an extrovert? Not sure? Take this quiz and find out! 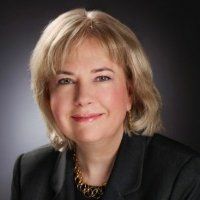 Ellen Brigham & Jerri Barrett: "An Introvert and an Extrovert Went to Lunch...A Tale of Two Perspectives"
"Introversion is Not a Pathological Condition". "From the Desk of an Extrovert: Why Reading Quiet, The Power of Introverts in a World that Can't Stop Talking, Was Powerful"
There are a few theories about the differences between introverts and extroverts, and some recent research has even shown that our genetic makeup has a lot to do with which tendencies are strongest in each of us. And unlike my theory about how outgoing or shy we are, introversion and extroversion actually relate to where we get our energy from. A meeting is the worst place to talk to an introvert. You are much better asking them one-on-one in a quiet setting and giving them plenty of time to prepare. Introverts by their nature want to process and think things through before they actually articulate something. 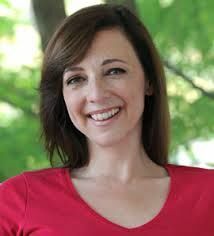 YOU NEED INTROVERTS AND EXTROVERTSThe loudest person in the room isn't necessarily the one with the best ideas, Quietauthor Susan Cain has told us. A UCLA study showed something similar. Groups of students--both introverts and extroverts--worked on projects over 10 weeks. Perhaps predictably, the extroverts were esteemed at the onset for their brash influence, but by the end people cared more for the introverts. With longevity, status equalizes. ""If you're introverted and act extroverted, you will be happier. It doesn't matter who you are, it's all about what you do,"
The best leaders are the charming, outgoing types, right? As an introvert, of course, I analyzed this to death--until I discovered it's not true.